Adobe this morning is making news as they announced the next iteration of Flash – version 10.1, which includes support for the expected personal computers, smartbooks, netbooks and of course… smartphones. Of the list of supported handset manufacturers… one name is (un)surprisingly missing. Apple. Pundits around the net have long speculated (pretty much since iPhone day one) on when Flash integration would finally happen. Adobe has approached Apple and has been trying to work around the issues involved, and Steve Jobs himself has commented on the topic, saying that Flash Lite (the baby version of Flash that was initially designed to support mobile devices) "is not capable of being used with the web." It simply is not a web plugin technology and only bears fleeting relation to the desktop version of Flash, which Jobs said "performs too slow to be useful" on the iPhone. "There’s this missing product in the middle," Jobs stated, however with the iPhone conspicuously off the supported handset list, it seems that Flash 10. 1 isnt that product. Does it really matter what Adode does to Flash? Will it ever get approved on the iPhone? Not likely – not without serious limitations or controls placed on it by Apple. Flash gives developers something that Apple does not want them to have… a platform for developing games and other applications that are browser based that fall outside of the App Store approval process, out side of Apples financial walled garden, and outside of Steve Job’s control. 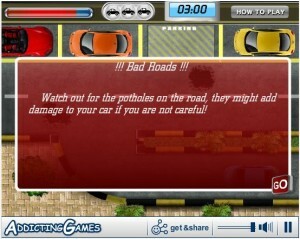 Take for example the Flash game below entitled "Parking Lot 3" by Addicting Games. 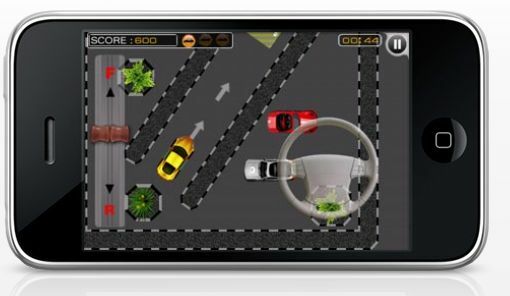 A basic game that has the player trying to park their car in various positions without striking any objects. As a former resident of San Francisco, I can understand how this can be a challenge to many. The game can be found, along with many other free, ad supported flash games, at the Addicting Games website. To get this game on the iPhone however, Addicting games has to buy a Mac ($1,000 or so), register as an Apple developer ($99 – $299), and get Apple’s approval before their app can be released. (This is just to develop free apps!) If they want to distribute a paid version, they then have to give 30% of all revenue to Apple. Pretty sweet deal for Apple! It’s hard to believe with all the money being made by Apple because of the App Store, that anything remotely threatening its walled garden will appear on Apples multi-touch devices any time soon. At MAX 2009, Adobe showed a number of applications and games for iPhone that have been built using a prerelease version of Flash Professional CS5, set to be released in 2010 with a public beta to be released later this year. This does NOT allow developers to develop Flash programs that work in the browser, however it does provide a shell in which a Flash program can be turned into an iPhone App, complete with the regulations and constraints of the App Store. "Flash Player uses a just-in-time compiler and virtual machine within a browser plug-in to play back content on websites. Those technologies are not allowed on the iPhone at this time, so a Flash Player for iPhone is not being made available today." Not "doesnt work" , "isnt possible" or even "needs work". Its simply… "not allowed". A Flash Lite 3.1 has been proposed by Adobe to the App Store. Apple reject it, for all those reasons you understood too and wrote in this article. No flash player for iPhone, never. The economic model of the platform can’t allow it. In some way, i must confess that i’m pretty good with that, since Flash can’t manage multitouch and is a real performance consumer … not really mobile friendly. I have to agree with all of the above. Flash will never be available on the iPhone. If i were apple and wanted to get Flash people interested into making games on the iPhone. I would either build and ecmascript to Objective C translator or simply tie an ecmascript to the quartz engine. In the latter case, build a library that emulates the 2D functions Adobe added to ecmascript and bingo you got yourself people converted over. Like mentioned above, the GOLD RUSH feeling is selling Apple hardware so Apple is NEVER going to allow Flash unless it can monetize it. In my humble opinion if the iPhone platform continues to grow (which it shows no indication of stopping at this point) Adobe has something to worry about. In fact, as the world towards more mobile apps, Adobe may see a piece of its market being hit, if it hasn’t already.